In her role as Vice President of Public Affairs and Communications at Liberty Coca-Cola Beverages, Mayra Linares-Garcia works diligently to find ways to please customers and consumers. “When you do public affairs and communications, it’s really to be able to be the face of the company, connect with your employees and the communities they’re in, and the company at-large,” Linares-Garcia said during an interview with AL DÍA. In October 2017, Liberty Coca-Cola officially opened its doors and welcomed more than 4,600 associate workers as The Coca-Cola Company moved towards refranchising its operations. Currently, the bottling and distribution company services Philadelphia, New York and New Jersey, among other parts of the tri-state area with a total of 10 distribution centers and three manufacturing plants. Coca-Cola has grown its brand to provide customers with a wide selection of non-alcoholic beverages, including different soft drinks, juices, energy drinks, waters, coffees and teas. In addition to providing a variety of beverage options, Liberty Coca-Cola also collaborates with several diverse communities and organizations to build long-lasting relationships. On Sept. 30, Liberty participated in the annual Puerto Rican Day Parade, helping Councilwoman Maria Quiñones-Sanchez ship out aid to Hurricane Maria survivors in Puerto Rico. 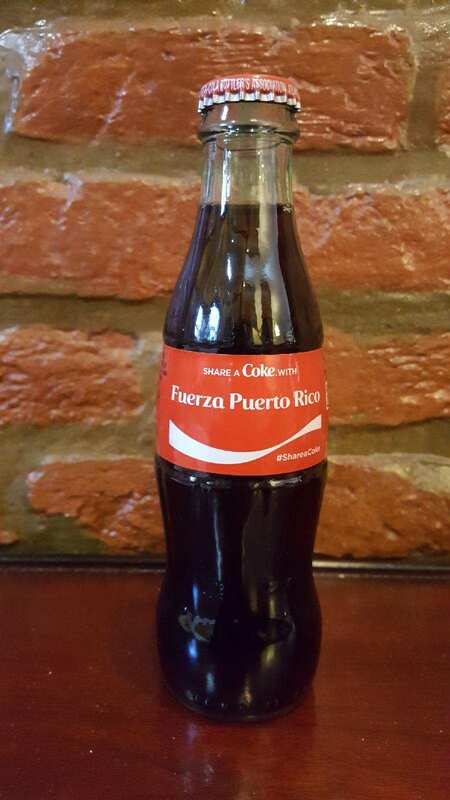 As part of their involvement, the local bottler in Puerto Rico created special “Fuerza Puerto Rico” soda cans and bottles to provide a message of encouragement to many of the hurricane survivors during a still difficult time. Working with different communities has long been a role Linares-Garcia has embraced. Of Dominican and Puerto Rican descent, she grew up in a multicultural neighborhood in the Washington Heights section of northern Manhattan. During that time, The National Rainbow Coalition—an organization, grown from Rev. Jesse Jackson's 1984 presidential campaign devoted to political empowerment, education and changing public policy for neglected communities—was recently founded, and the immigrant community—primarily made up of the Puerto Rican, Dominican and Black communities—was just starting to raise its voice and began working together. “I come from a background where I understand that you need to build coalitions and lean on different communities to be able to succeed,” she said. In 1991, her father, Guillermo Linares, became the first Dominican elected official in the U.S. From 1992 to 2001, he served in the New York City Council, where he advocated for quality education, vital health services, affordable housing and immigrant rights. Fast forward nearly two decades and Mayra tried her hand in the political realm in 2012. While her bid for New York State Assembly fell short, the experience provided her with greater knowledge about herself and her community. “You don’t have to be an elected official to give back to your community. You don’t have to be [at] the frontlines to be able to make an impact,” she said. Linares-Garcia uses her platform to continue working on building connections with as many different communities as possible—large and small. Her background has allowed her to gain perspective from both sides of the spectrum and enhanced her ability to work with people from very different walks of life. “I’ve had, not just my father’s shoulders to stand on, but so many people in my community to be able to stand on to be where I am today,” she said. She has always felt a need to give back to her community and help others because of all that her community invested into her, and that goal has never changed. “Whenever I can make time to invest in the youth that’s coming up, I do it because it is an investment,” she said. “The biggest gift you could give people is your time, so being able to do that is something that very much fills my cup. “And I think that also helps amplify the platform that I stand on now, which is a company that I’m proud to work for, and a local bottler that I am proud to work with,” she added. To this end, Liberty and Linares-Garcia hope to continue working to find ways to benefit the community and build long-term relationships. One of their main focuses over the next several years fall unto the improvement of our environmental space, which include reducing the use of plastic and promoting recycling.